YouTube "rickrolled" its visitors. 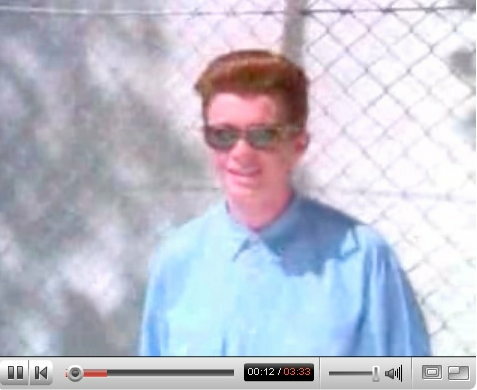 All the "featured video" links on its front page sent people to a video of 1980s pop singer Rick Astley singing his 1987 hit Never Gonna Give You Up. The video was posted under the user name YTRickRollsYou. Over 7 million people fell for the prank.